Item # 313885 Stash Points: 19,995 (?) This is the number of points you get in The Zumiez Stash for purchasing this item. Stash points are redeemable for exclusive rewards only available to Zumiez Stash members. To redeem your points check out the rewards catalog on thestash.zumiez.com. 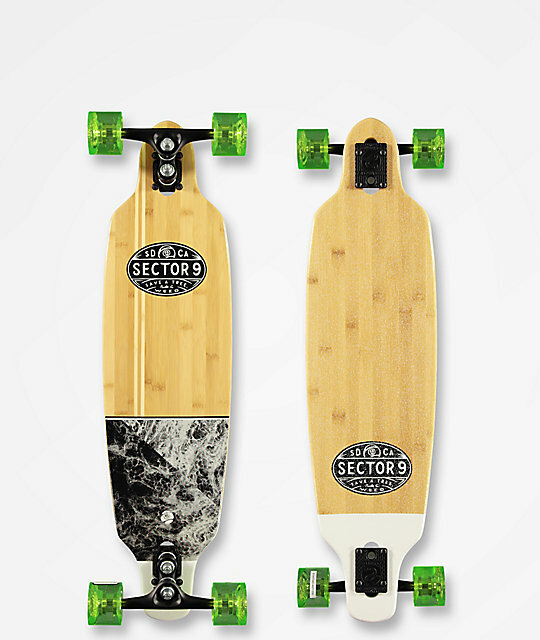 For nimble turns and a smooth ride look no further than the Sector 9 Monsoon Shoots 33.5" Longboard Complete. This classic cruiser comes in a drop through construction with huge wheel cut outs to avoid wheel bite, while the Gullwing Double Kingpin Trucks create an absolutely insane turning radius. 69mm, 78a wheels provide excellent acceleration and grip, while the abec five bearing carry speed so you can ride more and push less. 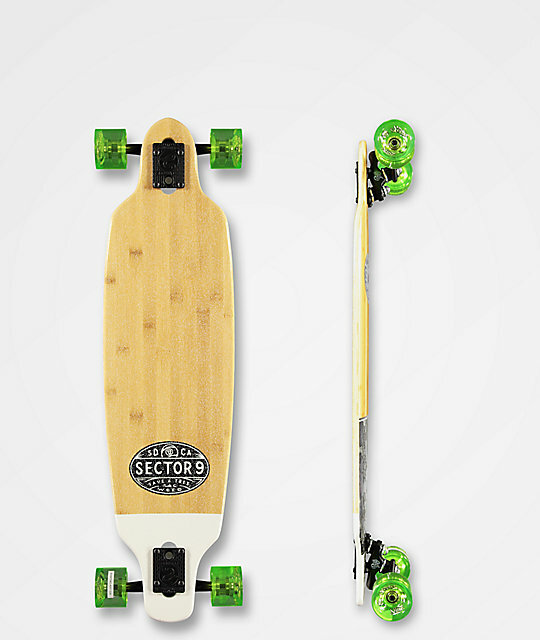 Monsoon Shoots 33.5" Longboard Complete from Sector 9. Medium concave with moderate flex. 7-ply bamboo and maple construction. Double kingpin 10" Gullwing Sidewinder Trucks. Sector 9 Race Formula 69mm, 78a wheels. Clear grip tape applied to top with custom logo graphics.